Passion and creativity are as important as the air we breathe." Douglas Parks, owner and creator of R Tistic Salon and Education, embodies this very notion. With great humility and an understanding of the importance of expression, Douglas inpires the world around him, and in turn, he is continually inspired. "Life itself inspires me." Upon graduating from the acclaimed Vidal Sassoon Academy in Los Angeles, Douglas traveled the world providing industry leading education within the Sassoon academy network. 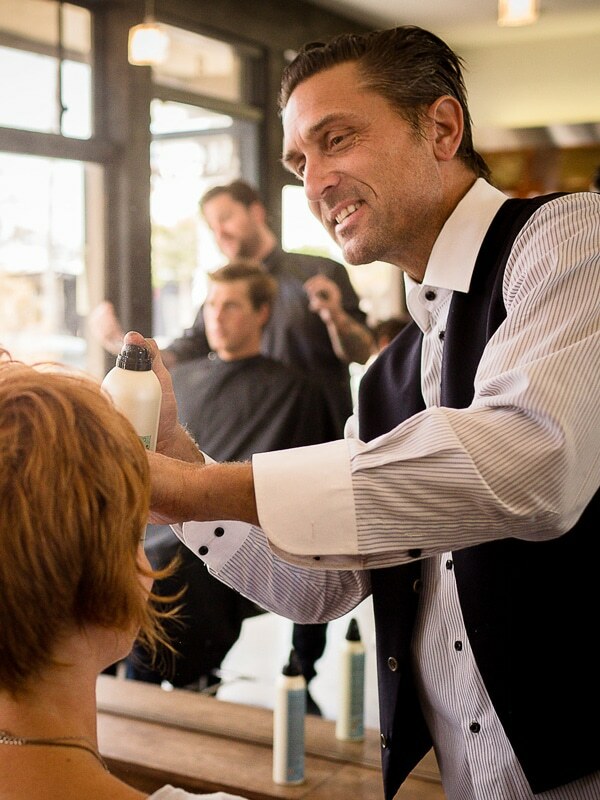 His international experience includes working and instructing at prestigiuos salons and schools around the world. His time in Sweden, London, Boston, New York, Beverly Hills, and Scottsdale, has inspired and spread his love for the art of hair. After returning to the states he continued to educate; implementing his ideas for the Paul Mitchell curriculum in Costa Mesa. His enduring passion to educate led him to the creation of R Tistic Salon and Education. As the leader of R Tistic, Douglas instills the notion that hard work and passion for your craft is essential. "Follow through, never give up and always believe."